Summer has finally arrived. In neighborhoods across the country, people are headed to the pool, to play at the tennis courts, and out for a jog. School is out, kids are biking, playing ball, and headed in and out of their houses for one more popsicle or glass of lemonade. 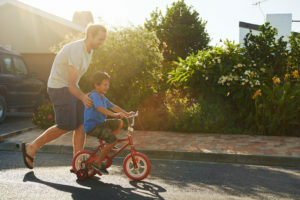 Is your community equipped to maintain safety with the added foot and bicycle traffic? Many communities harbor the hope that since its own residents are the primary people traveling local roads, they will observe speed limits out of concern for their neighbors and friends. If drivers thought their speeds were dangerous, that might be true. But most speeders don’t think they’re doing anything wrong. It sounds shocking, but there are many reasons this is true. Firstly, many drivers are not aware of the local speed limit and may not realize how low it is. In addition, people’s minds wander when they drive, even when their eyes are on the road, and they may not realize how fast they are going. In a National Public Radio piece on the psychology of why people speed, Professor Leon James, the co-author of “Road Rage and Aggressive Driving,” offers another insight into why drivers speed, even in their own neighborhoods. Most people think of speeding as dangerous only when exceeding the speed limit by 20-25 miles per hour. Professor James also points out that speeding is often culturally accepted, unlike impaired or distracted driving. And people aren’t just careless. They just think they’re a lot more invincible than they are. A UK study on the psychology of speeding found that 8 in 10 people believe they are safe drivers, yet 95% of car crashes are caused by human error. Knowing that drivers may not realize how fast they’re going, often need to be reminded to slow down, and sometimes need to be left no choice but to slow down, can help you plan for safer summer roads. Speed display signs, particularly ones that include driver-responsive messaging, alert drivers to posted speed limits and warn them, via speed display, flashing lights, and verbal or graphic messaging, to slow down. Speed cushions, humps, and traffic circles, are all traffic safety options that compel drivers to slow down, leaving them no alternative but to reduce speeds. Speed camera systems offer further options for private communities or HOAs to capture images of speeding vehicles and issue warnings to help enforce speed limits. Curious how you’d use these solutions on your roads? 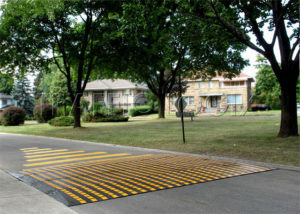 Check out our interactive graphic and see how traffic calming can help keep your community roads safe.